If your IT department or development team is like a lot of those I talk with (and have worked in), you have a lot of scripts that do all sorts of things. They are important to you, and that’s why you still use them. 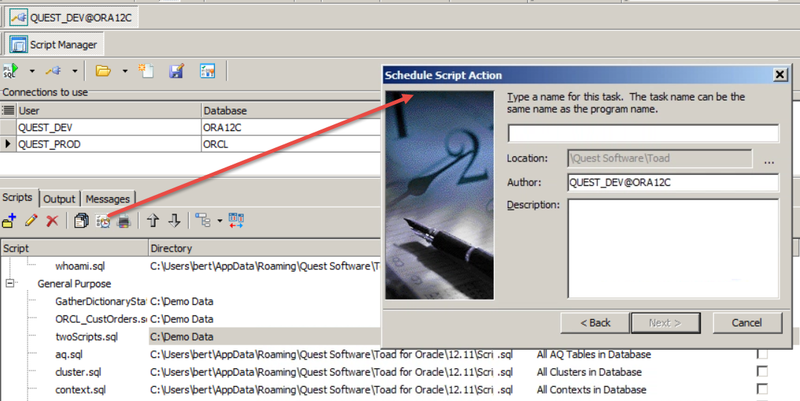 Find a way to manage and run those scripts – right in your administration/development tool? 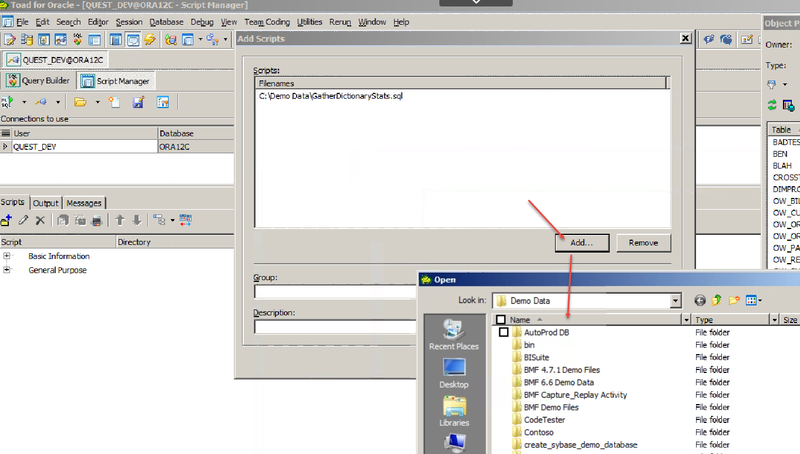 Execute a script against multiple databases at once? Combine scripts and execute them together? Schedule scripts to run later? 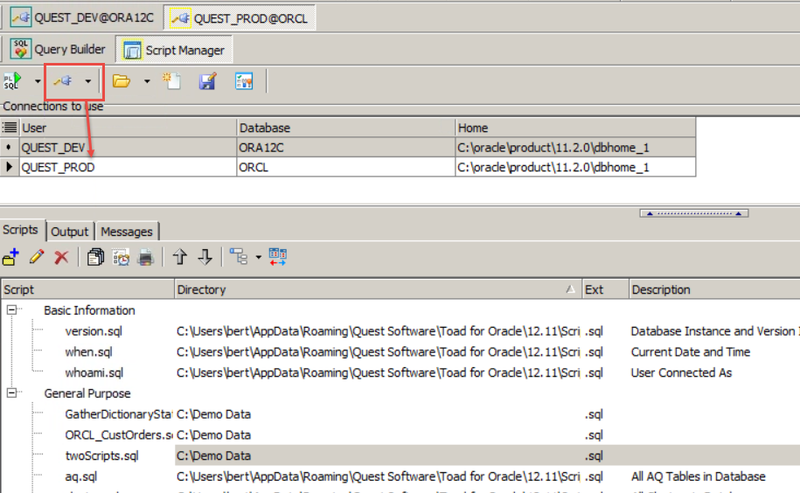 Toad for Oracle has the answer: Toad Script Manager, and you might already have it and not realize it’s there or what it can do for you. 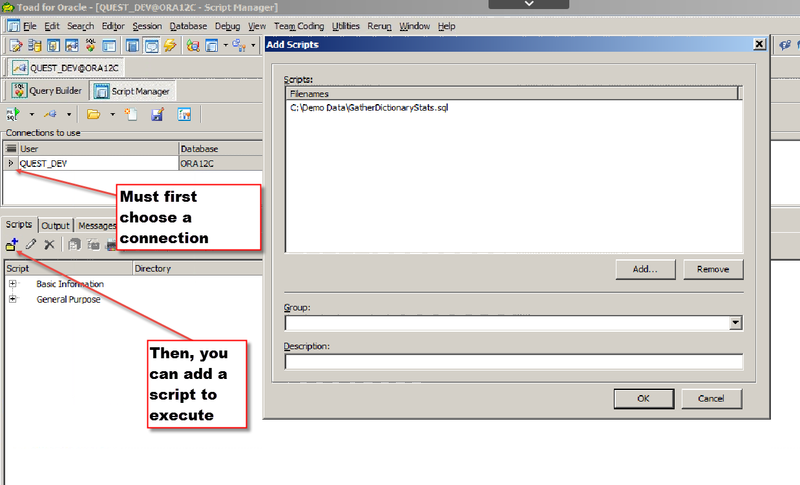 Many Toad customers make extensive use of the Script Manager for the reasons listed above. Let’s take a quick tour of this useful Toad feature. 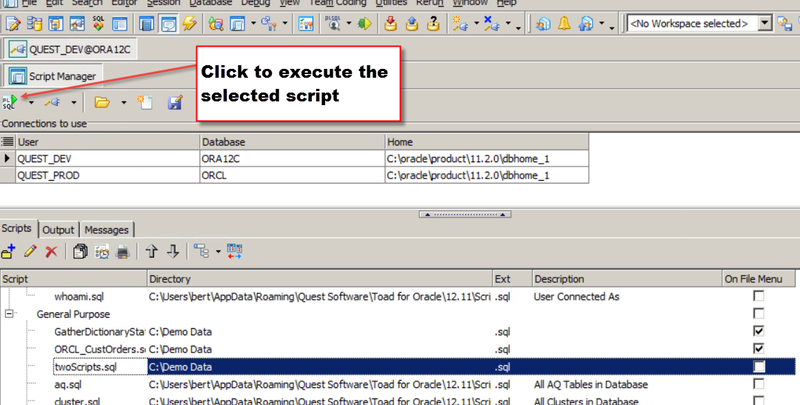 Again, Script Manager is a nice, useful feature of Toad for Oracle that makes it so easy to organize scripts and execute them against one or multiple databases. 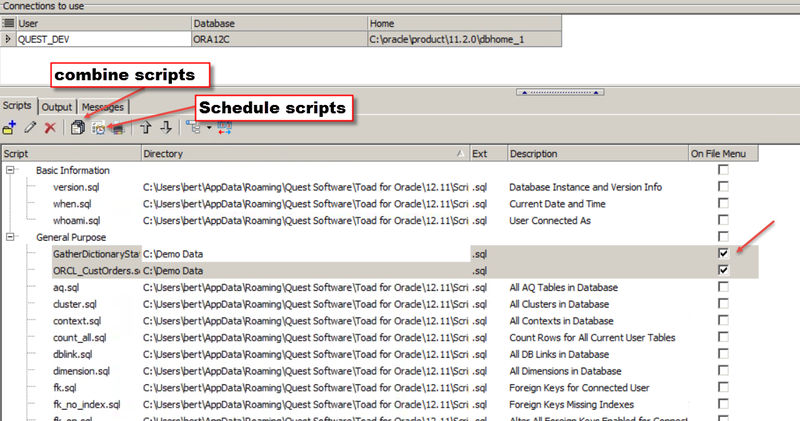 To find out more, explore the Toad World Toad for Oracle page here: http://www.toadworld.com/products/toad-for-oracle to discover more information about Toad for Oracle, its features like Script Manager. Use the ‘Search’ field at the top of the screen to zero in on the information you are seeking.